Truffleberry Milkman Delights E-Liquid 60mL is a must-try flavor from The MIlkman for all you die-hard dessert lovers out there who need it morning, noon and night. Beginning with a spot on flavor of a chocolate covered truffle, Milkman's Truffleberry instantly captures your attention with this rich taste. It is then finished off by a sweet raspberry filling that perfectly completes this classic dessert flavor. Bottled and brewed in Los Angeles, California, The Milkman handcrafts each of their flavors every step of the way in a clean lab favcility. They use only the finest quality USP/Kosher grade ingredients to bring you a flavor that is worth coming back for. 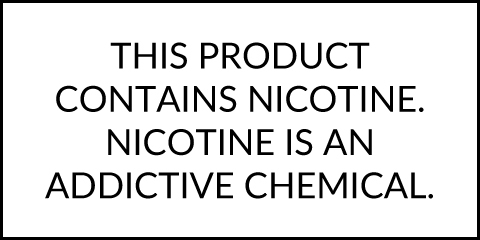 Grab a bottle or two of the Truffleberry dessert in a max VG concentration with strengths including 6mg, 3mg and nicotine free.